The plan to see the Black Rhinos re-introduced in the Rwanda safari destination of Akagera National Park is gaining ground. The effort to achieve this is being undertaken by Rwanda Development Board and the African Parks Limited and supported by the Government of Netherlands. The Dutch Government in the previous year promised to contribute Euro 200,000 to the Black Rhino re-introduction initiative. The First councillor at the Embassy of Rwanda in the Netherlands Mr. Robert Kayinamura disclosed a plan to bring twenty (20) Rhinos comprising of ten (10) males and ten (10) females from Thaba tholo game farm in the South African Province of Limpopo in the month of February – something that will see the Big five fully stocked in Akagera National Park which is always explored on wildlife safaris in Rwanda. The Black Rhinos will be held in quarantine in South Africa for about a month after which they will be brought in two (2) batches within a range of a week in the month of March. Apparently, the African Parks is scheduled to have a meeting with the Conservation solutions – a heritage preservation company that provides services regarding conservation to public agencies, museums and private owners and the community of Thaba tholo to speed up the move. The Government of Rwanda is expected to provide the cities import permit to the Authorities of South Africa so as to assist with the processing of the export permit along with the necessary veterinary requirements. It can be noted that though the dates to transfer these species are not yet set, the Boma where they will be received from is already complete and are expected to spend only 48 hours in it before being released to the wilderness. At that point, visitors to Akagera National Park including those on Safari in Rwanda Africa will be counting chances of viewing the Black Rhinos during the game drive activity. 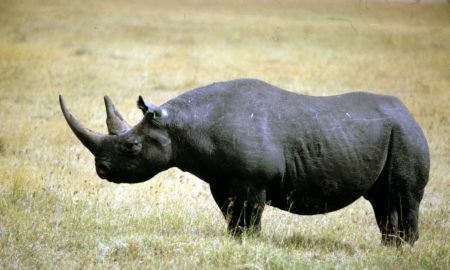 Akagera National Park is recorded to have once supported over 50 Black Rhinos in 1960s and 1970s before they were wiped in the 1980s as a result of heavy poaching.